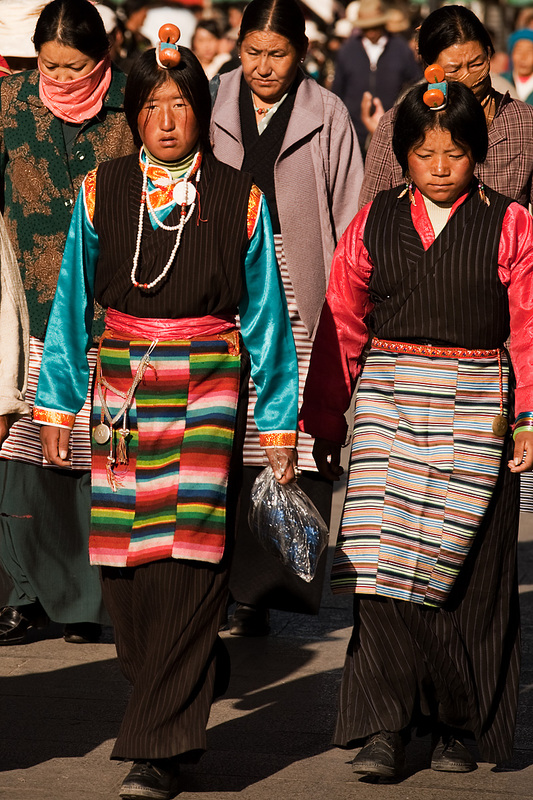 Traditional Tibetans with unique head ornamentation walk the Barkhor. Within our lifetime or shortly thereafter, I believe bargain basement priced Wal-mart t-shirts and shorts will ultimately prevail over beautiful native dress. The Chinese government has already assimilated young Tibetan children by mandating coordinated track-suit school uniforms while the children study mandarin and a version of history favorable to China's interests. Head pieces, like the ones worn by these women, are likely to be seen only in museums or dusted off and prostituted for that next bus load of package tourists or foreign dignitaries. I've said it before and I'll say it again: come see the world while it's still unique! 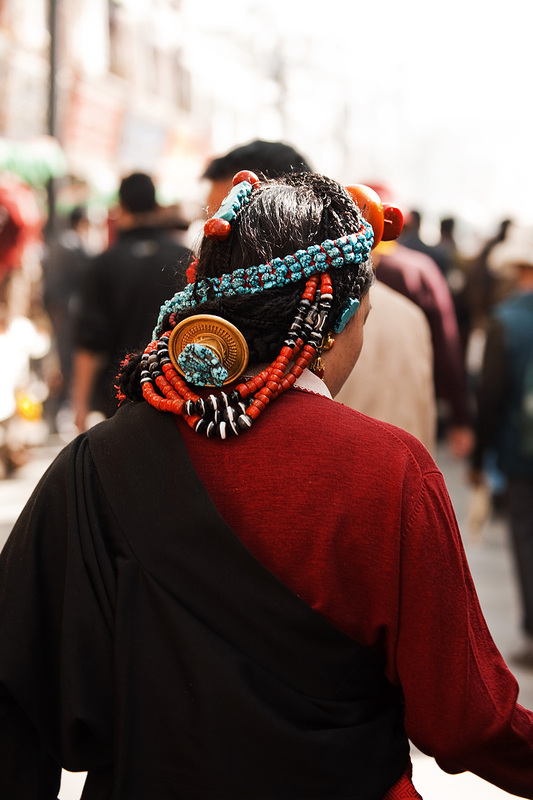 A Tibetan woman displays incredibly intricate head ornamentation and braids.